With the emergence of medical marijuana in the nation over the past decade, the rare eye condition, Glaucoma, has become a household name of sorts. What was once a condition rarely referenced outside of ophthalmologist’s offices, is now splattered across the news, pop culture, and almost every stoner comedy. But for those who suffer from this disease, it is no laughing matter. Glaucoma effects over 3 million Americans today, and is the second leading cause of blindness in the world according to the World Health Organization. But thanks to the medical marijuana movement, the situation for Glaucoma patients is looking up! As of now, Glaucoma has NO cure. Those affected with it, even those who receive treatment, have a ten percent chance of losing their vision. Glaucoma is a condition in which the optic nerve deteriorates over time. This is caused by higher than normal levels of Intraocular Pressure. 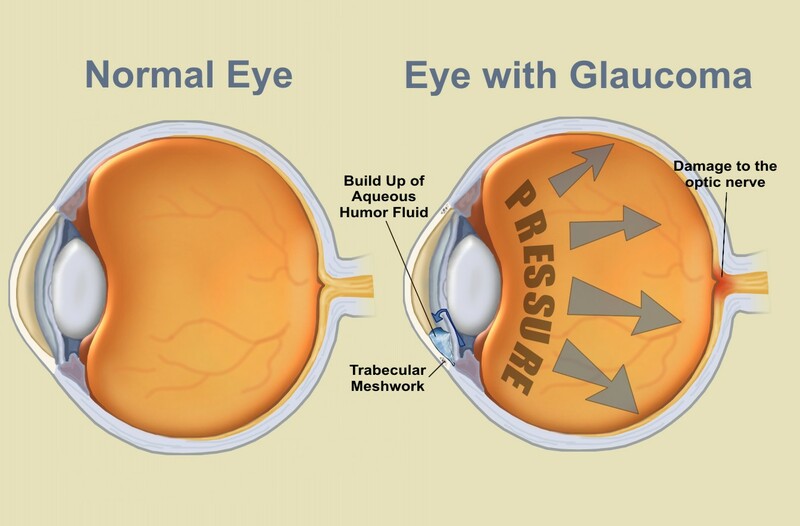 Those who suffer from glaucoma regularly experience peripheral vision loss as well as extreme pain caused by this internal pressure differential. So how does cannabis factor into all this? Despite the skepticism, marijuana advocates and patients maintain high hopes for the future of cannabis as glaucoma treatment. With new advances in the medical marijuana field, it will soon be possible to dose out cannabanoids in a regular and moderate dosage throughout the day. Similar to the way in which some diabetic patients receive insulin regularly throughout the day without the pain of injections. Regardless, patients rejoice that there is a cheap, non-addictive, and non-invasive medication to alleviate their pressure differentials available today. With only 30% of Americans even having knowledge of this condition, maybe it is good that Glaucoma is receiving the national attention it is. That being said, it is important to remember that marijuana is not just for recreational use, it has marvelous medical benefits for many people. Whether it be Epilepsy, Glaucoma, Multiple Sclerosis, or Cancer patients across the country depend on its use. However, for many patients across the globe, the use of marijuana carries heavy consequences. Even here, the U.S has maintained its federal classification of marijuana as a schedule 1 drug. Deeming it void of medical use and having a high potential for abuse. In conclusion, marijuana has shown a fascinating ability to relieve the main proponent of optical nerve damage, Interocular Pressure. This provides relief and resistance to the escalation of the Glaucoma disease in many patients. Whether marijuana will eventually cure Glaucoma is unknown, but as states begin to initiate their medical programs, more information is being learned every day. Scientists and doctors are skeptical, but patients and proponents praise the drug, and pray for continued investigation and investment. This entry was posted in Uncategorized on December 3, 2015 by Julian Eisenberg.